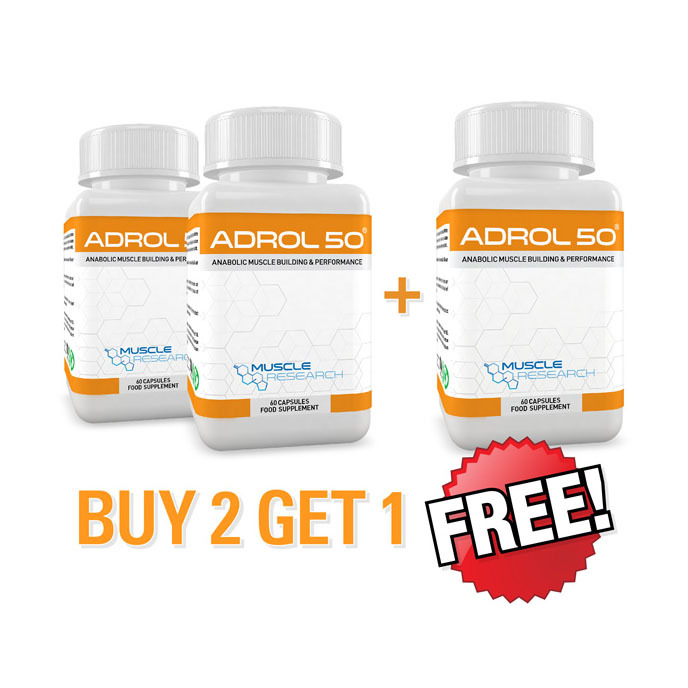 Adrol 50® is our most popular product and is well known among fitness circles for its powerful weight and muscle building effects. Our revolutionary formulation was designed with mass, strength and size in mind. 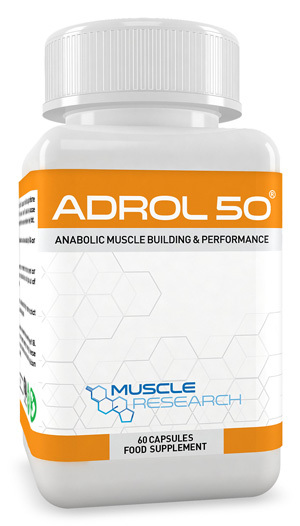 Adrol 50® will help trigger anabolic pathways responsible for increasing hypertrophy, muscle growth combined with assisting vasodilation during weight training. Adrol 50® is a fast-acting oral preparation that helps create the perfect environment for lean muscle tissue accrual. This unmatched anabolic supplement helps enhance focus and energy levels so more can be achieved during weight lifting, fitness and sporting events. Promoting recovery is crucial to progress in the gym and Adrol 50® will aid in the reductions of catabolic windows. Suggestions: Adrol 50® can be used alone, or alongside bulking products such as D-Bol® and Test 500® for optimal progress. Directions For Use: This product contains 60 capsules and is designed to be a 30-day cycle. Take 1 capsule split 2 times daily with 8 ounces of water. Doses should be spaced evenly throughout the day, or morning and evening. 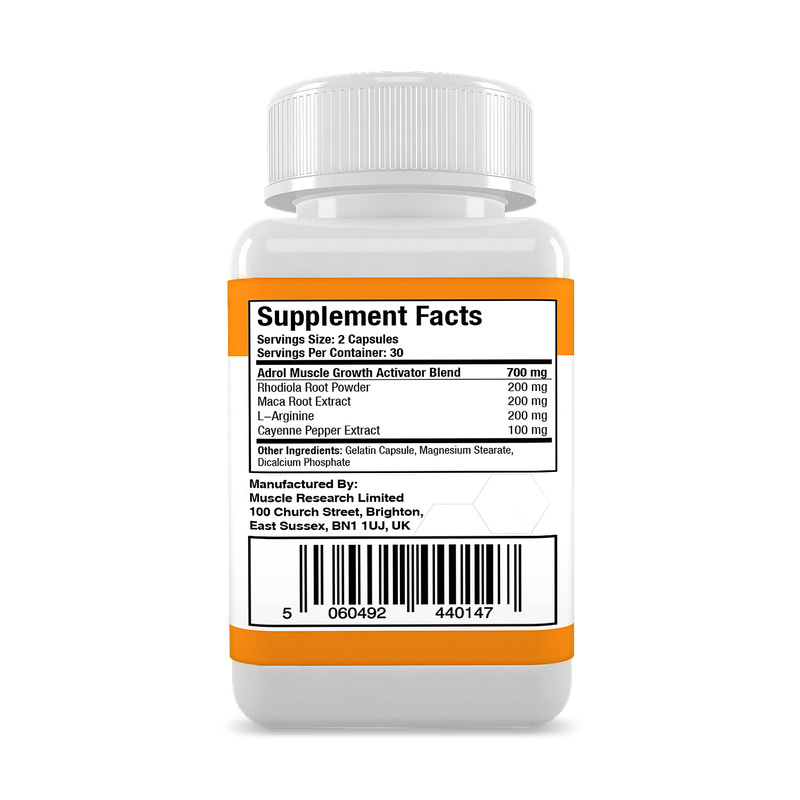 Ingredients: 200mg Rhodiola Root Powder, 200mg Maca Root Extract, 200mg L-Arginine, 100mg Cayenne Pepper Extract.